Will a care home apply for Continuing Healthcare on our behalf? Today’s article is from the founder of Care To Be Different. She highlights the frustrating problem of families being given incorrect information via the press and through the media – and also by some legal, financial and charity professionals. There is a BIG problem in England when it comes to care fees. I don’t just mean the appalling maladministration that goes on in NHS Continuing Healthcare assessments and appeals, although that’s bad enough. What I’m referring to is the way some organisations, individuals and/or professionals (despite their good intent) often give families the worst possible advice when talking about care fees. There is now much more awareness now about NHS care funding than when Care To Be Different started in 2010; however, misleading information about NHS Continuing Healthcare is still a big problem. You may be a solicitor, a financial adviser or a care fees consultant of some kind. You could be part of a charity that deals with matters of care and/or older age. You may be a practitioner, nurse, medic or social care worker. You could run a media channel (press, TV, radio, internet, etc. – mainstream or otherwise) and publish/broadcast articles, discussions and phone-ins on the subject of care fees. Or you could be a friend of relative of someone needing care and you’re telling them about care fees. Please check what you think you already know about care fees – because it could be wrong! You could unwittingly be giving people misleading information about NHS Continuing Healthcare. A while ago I had a meeting with a financial adviser who advises clients about later life, retirement planning and care fees. He knew that NHS Continuing Healthcare funding was available, but he was also under the impression that it didn’t apply to people who had the means to pay for their own care. Needless to say, I put him right on that. NHS Continuing Healthcare has nothing to do with a person’s money. Instead, it is NHS money that covers the cost of care for people who meet certain criteria regarding their health needs. I also felt shocked that he may have inadvertently been misleading his clients all this time. I explained that NHS Continuing Healthcare is not means tested – at all; it’s about a person’s health, not their money. I explained that all of his clients should be considered for NHS Continuing Healthcare funding at the point where they need care – regardless. The conversation went on, and then the meeting drew to a close. At the end, the adviser wanted to clarify what he’d understood and he highlighted the case of one specific client. The client had multiple health issues and needed round-the-clock care. The adviser acknowledged that the client should be assessed for NHS Continuing Healthcare, but then added that “of course they won’t get it because they have savings”. At this point I sat on my hands to stop myself tearing my hair out! And then I explained it all again. This false understanding of how care fees work is so engrained in our psyche. It seems to be part of our national conditioning to think that, somehow, when we get older, the rules change and we always have to pay. They don’t! I should add here that a good adviser (whether it’s legal, financial, care fees or other) can be invaluable. Equally, it’s vital to check they fully understand how NHS funding works. With GP appointments, we’re not asked at the door to produce a bank statement or to confirm whether or not we own a house. When we go to hospital, we’re not asked to undergo a means test before treatment will be provided. So why should an older person who needs a lot of care be told that access to NHS care depends on their money? There is nothing in law that supports that. ALL these statements are misleading. So, please, if you have ANYTHING like this on your own website or in any information you give to others, please remove it right now. It is exactly this kind of false information that has led to the tens of thousands of claims against the NHS for care fees wrongly charged. The devastating impact on families is immeasurable. What’s more, you may find yourself liable for having provided misleading/incorrect advice. As we say many times on our website: whether or not a person pays for care does NOT depend on their money. It depends on their care needs ONLY. I know only too well the horror that receiving incorrect advice can lead to. When my own parents needed care, I consulted not only a solicitor and financial adviser, but also a social worker, a neurologist and two well-known national charities. They ALL told me my parents would have to pay for all of their care because they had some savings and a house. ALL of these people were wrong – and their incorrect advice led to four years of hell for me, fighting the NHS to get the money back, because my parents should have been properly assessed for NHS Continuing Healthcare right at the start. No one should have asked anything about their money. So please don’t lead your own clients, patients or friends into this same situation. Get properly informed, and please amend anything on your website, any articles you publish or anything you broadcast so that it is correct. Otherwise you could unwittingly be contributing to the whole sorry Continuing Healthcare situation. 1) The local authority will do an assessment of social care needs (needs, not money) when a person needs care, but they must NOT do a assessment of their money until the person has been properly considered for NHS Continuing Healthcare funding. The local authority has no business asking about a person’s money or house at this point, and if they do so, the local authority could find itself in an illegal position. 2) When a person is in hospital, they must be assessed for NHS Continuing Healthcare funding BEFORE anyone asks about their money and before they are discharged. Sadly this often does not happen. The hospital discharge team has no business asking about a person’s money or house at this point. 3) The person being discharged from hospital should not pay a penny for any ongoing care until the NHS Continuing Healthcare assessment process is complete and an NHS funding decision has been made – in writing. 3) Whether or not a person owns a house is nobody else’s business until the NHS Continuing Healthcare assessment process is properly completed. It doesn’t matter whether a person goes into a residential home, a nursing home or has care in their own home, all the above applies to all cases. 5) A person does NOT have to be at death’s door to receive NHS Continuing Healthcare funding; it is for any stage of life. The person does not have to be at end of life, not do they have to have certain specific care needs or need certain specific treatments. There are criteria to be met, but it is not dependent on a specific diagnosis or specific care needs. So if you provide information about care fees in any format, please check that it does not mislead people into thinking they always have to pay if they have the means. They don’t! If you have a relative needing care, makes sure the information you’re given is correct. 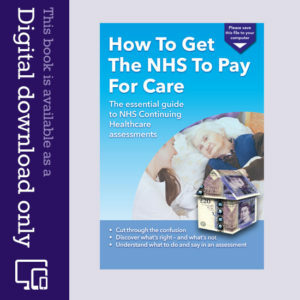 The tips and information on our website, on our Facebook page and in our book, How To Get The NHS To Pay For Care, will help you. If you know other families who may fall into the same trap as I did, by being given misleading information about NHS Continuing Healthcare, please help them understand what’s right and what’s not. If you’re listening to a phone-in and people are being misled into thinking they will always be mean tested, call in and correct them. If you’re reading an article and it fails to mention NHS Continuing Healthcare – or it does mention it but implies it’s impossible to get or it’s only for people without means – add a comment underneath or call the editor to correct things. Together we can continue to help families fight for the funding their relatives are legally entitled to. If you’re new to Care To Be Different, our Get Started page will help you. I am a carer unpaid to a man who is 60, therefore under retirement age. He has a small private pension, received PIP enhanced rate and esa contributions based. He is currently paying £200 a month for carers to come in 2 hours a day, having been assessed by camden council. It went up hugely suddenly and i dont understand why. Until 3 years ago he was not paying for this care. (He doesn’t own his home and he pays full rent and council tax). I have felt something was wrong with this for a long time, but am unsure where to begin. Last year I was looking after someone else with cancer so was not around when his NHS Continuing Healthcare assessment was done (if it was done) but he’d been receiving care for over 10 years before this, yet suddenly is paying out a lot of money (for him). Can you advise? Thanks. Thanks for the information Chris. I did complain to the CCG in December last year and all I got was a letter telling me everything they did was in line with the National Framework (it wasn’t). In other words they dismissed everything I had raised and simply said they were doing things right. The letter didn’t even bother to apologise. Complaining to the CCG seems fruitless but if I do so and am still dissatisfied would that allow me then to go to the Ombudsman? My complaint to the Nursing and Midwifery Council re: a Community Psychiatric Nurse was a waste of time. They informed they did not intend to take any action and essentially said they had looked into the matter and they and the Foundation Trust were happy with the nurse’s actions. This nurse had little understanding of Continuing Healthcare (CHC) and tried to push us into a financial assessment and later refused to submit a positive checklist. He continually downplayed Dad’s needs and his conduct effectively denied access to care and funding to a vulnerable patient who without family would have been at severe risk to himself and his wife. His conduct also led to financial loss as we had to pay for a private carer but all this is OK with his professional body. NHS staff are truly untouchable. A complaint to the hospital got me an apology for a range of incidents and the distress caused and for not assessing for CHC but they said processes and procedures had been improved so everything was alright now. Responses to complaints are simply staff going through the motions. 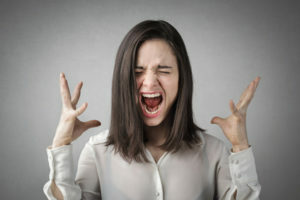 The existence of a complaints procedure is seen as an end in itself, there is no real acceptance of responsibility or for the consequences of what they do or don’t do. Dad has defied the professionals by not dying within days. He is still being nursed at home. Despite Fast Track we have found ourselves still paying as the care agency commissioned by the CCG has still, after six weeks, not employed our private carer and my sister and the CCG has still not refunded the cost of this care as they said they would. If everything that you wish to take forward has been complained about to the CCG then it is entirely correct to take matters to the ombudsman. I once asked NHS England to intervene and to review the breaches of law, whilst trying to avoid the matter of (argumentative), procedural breaches (not mentioned in law), , and even then they were not prepared to get involved and simply suggested that I put it to the ombudsman. The ombudsman that barely looks at matters unless something appears to be a risk to the status quo and/or something that risks a complex law changing court action that might kick the door in for others requiring Continuing Healthcare funding. Does anyone know whether I can request an Independent Review Panel in respect not of the CCG making an eligibility decision I disagree with, but regarding a repeated failure to assess for Continuing Healthcare (CHC) during hospital discharge and assessments in the community and finally, following a positive Checklist result, refusing to carryout a full Multidisciplinary Team assessment. The failure to assess for CHC left my father liable for all his own care costs right up until the point he was Fast Tracked following a rapid deterioration in his physical health. His needs over the 18 months prior to this, when we simply could not get him assessed, were extensive and in my view exceeded the local authority legal limit and would have made him eligible if an assessment had been done. As far as I understand it you can make a complaint to your CCG. And once their Commissioning Support Unit (the same people at fault), have delayed and finished ignoring you, you can try the Ombudsman…… Failure to carry out assessments is not (ironically) a Continuing Healthcare matter as far as appealing matters is concerned. However, it has long been a bone of contention with us that when wrong-doing is expressed within an appeal, the matter should automatically become part of a complaint…… But no! One needs to do that separately and so more time and energy is expended….. It is also possible to use the courts but there again….. the courts would probably want you to jump through the aforementioned hoops first. Great information. Thanks. Our friend has just had his Checklist assessment and scored high enough for the Decision Support Tool assessment. All of your website and links have been invaluable to help us support him through the maze. Misleading information is a huge part of the problem. Sadly, Dad is now deteriorating rapidly and I am staying at the hospital with him. When he is asleep (and I can’t sleep) I wander around and read noticeboards, posters and leaflets. Dad is in the part of the hospital specialising in elderly care and for anyone with time there is lots of information. However there is no mention on any poster or any leaflet of Continuing Healthcare (CHC). The hospital’s own literature and posters talk only generally about “care”, ongoing care, community care, respite care but they are clearly all about ‘social care’ and appear to have been designed to mislead and misdirect. They make reference to charities frequently and to social services and care homes but there is nothing about what happens, or should happen, to the very ill with ongoing continuing “healthcare” needs. Observing the patients all around me it is hard to imagine that none of them will have any healthcare needs once discharged. Last year this same hospital discharged dad twice without assessing for CHC despite very obvious physical and mental health problems. I complained and a written apology from the hospital, following an “investigation”, informed me that they had reviewed their discharge procedures and staff were now fully trained. Discussing discharge on Thursday (possible Fast Track and the fact that we already have a Decision Support Tool (DST) due in a couple of weeks time) with the discharge nurse I was shocked to be told that as we wanted to keep Dad at home CHC would only provide 4 visits per day maximum and that 24 hour care was not available at home. I disagreed with her but she was adamant that was the case. Nothing I have read here on CTBD or elsewhere – and I have read a great deal -says care at home is limited so presumably the CCG concerned is just making up its own rules. Her statement fits with the CCG nurse assessor I spoke to two months ago who told me -as soon as I said we were not looking for a care home – that I should ask my GP to refer Dad back to social services as “the CCG doesn’t do care at home”. The discharge nurse was clearly unhappy when I explained my understanding of Pointon (2003) and the fact that the National Framework (NF) states clearly care can be provided in any setting, including a patients own home, and that if someone is eligible then CHC it covers all assessed needs – the ward was busy with visitors and she repeatedly asked me to come to the office to continue the discussion. She had previously asked me just how much money Dad had in savings and was poised pen at the ready to write it down if I had given her a figure. We were then informed by a physio, a member of the discharge team, that the hospital’s own Intermediate Care Team, which provides temporary care visits after discharge, had been in touch with the hospital and informed them dad wasn’t suitable for them and should be “referred for a care package” instead. How do they know his needs are only social care, they too have not assessed him? We have been pushed towards social care and denied assessment/access to CHC for 18 months with false information, outright lies, delays and obstruction. When the DST meeting takes place in July I fully expect to be turned down and for all evidence to be ignored. Most of the families of the frail, ill and vulnerable elderly people all around me won’t get turned down because they will never even ask about CHC in the first place because the CCG/NHS staff work so hard to mislead. Received this through thought it might be useful. Use it in conjunction with the National Framework as an aide memoir..
Can anyone tell me the position regarding funding, ie who should be paying for care now that a positive Checklist has been completed and we are awaiting a full assessment. I can’t find anything that clarifies the position. Obviously if my father was still in hospital the NHS would be footing the bill but dad was discharged without assessment over a year ago and receives no care from anywhere except family and a privately engaged/paid carer. I have read that until eligibility is decided there should be “no gap in care” but there has been a gap in care since he was discharged from hospital as we have refused means testing so there is no social care in place either, unless you count an unsigned care plan written by a Community Psychiatric Nurse which simply states the hours of care we are providing ourselves. I seem to remember reading that the NHS was responsible for funding all care until eligibility was finally decided at the end of the process and if it went to appeal would have to go on funding until the appeal. But I can’t find where I read this. Advice appreciated. I would expect the NHS to fund CHC from the date of the Checklist if they ever do. As for the period after discharge. If you believe that discharge was not done correctly and have evidence that illness was indeed sufficient to have warranted a Checklist on discharge, and a follow up CHC assessment, then I would contact the NHS with a complaint regarding the broken rules. It will take a while to resolve. (usually told to go away). I wonder if anyone reading this might have a view. Hi Chris, I formally complained about the discharge process among other things and the hospital has apologised in a letter responding to my complaint. But are the words “we apologise that this did not happen on this occasion” all I can expect? They advise me in response to complaint “hospital staff failed to complete Continuing Healthcare (CHC) documentation”(their words) that “this documentation would only be completed following a request from social workers prior to discharge home or to a care placement.” They add that since my father’s discharge they “have invested a great deal of time improving the discharge care pathway” which includes training for all registered staff in relation to the completion of CHC documentation, and now employs discharge liaison nurses to work with wards to ensure all appropriate assessments take place. This is surely an admission of their failings? But they offer me nothing more than a written apology. They did not seem to acknowledge responsibility for the consequences of their failing, i.e. a gap in the provision of appropriate care that is sill unresolved 18 months later. Just who is responsible for the gap in care? The hospital? The social workers? Both? Either way given the CCG have repeatedly refused to assess for CHC (whole range of excuses) who is responsible for providing care other than us, my father’s family? It sounds like the usual ‘it’s not our fault’ and ‘we have taken measures to ensure that it cannot happen again’ and ‘staff have been offered extra training’ and ‘my dog ate my homework’ nonsense along with the officially required apology for something that never happened or was not their failure, …….. as usual. This CHC process is so convoluted that we often fail to react in the same way as we might, if say, a plumber let us down and caused us expense. They make cowboy builder documentaries and provide solutions on the TV all the time. If the NHS used an unlawful practice, then apologising for it is the start. If the practice has cost someone enough money to warrant a claim for damages, then (Assuming you might wish to risk more of your loved one’s cash (and not your own)), then discuss the matters with a lawyer exactly as you would with any transaction/interaction that cost you money. After all much of the NHS is already privatised just as a cowboy builder is. Making appeals within the Continuing Healthcare (CHC) process seems to be the logical way to get satisfaction……. However, the appeals staff do not appear to understand anything within the process let alone the failures external to it…. So look at using a lawyer to complain against the failure of extraneous procedures at the hospital and not the failings of the CHC process, if you get me. In short sue someone for money because of the expense caused by their failure to abide by law and protocol. This is just an opinion but there are ways to fight this externally to the CHC appeals process. Take some legal advice and see if it helps. Just another thought…… How does a social worker know that someone is in hospital? My FiL was regularly repeatedly discharged after collapses, radical, amputations, infections, cancer care, bowel surgery on often multiple occasions and for more than a fortnight for each of the above over a two year period…… Every time, they failed to checklist him before discharge and then even upon multiple requests lied about doing Continuing Healthcare (CHC) assessments that never even eventually happened. He even died without Fast Track funding because the surgical team had never heard of it. From Oct 2013 until Jan 2016 he remained unfunded with a multitude of major changes to his nursing care needs that were well over and above the care needs that he had been funded for since 2007. To tie it all up……. Not one social worker was informed of his attendances in hospital. So how is a social worker responsible for ensuring a checklist and subsequent CHC assessment is carried out. Now consider that the entire CHC process is NHS led and you have the answer. The hospital got it wrong and it cost your loved one money. Thanks Chris. I have read your comments before and cannot believe that people as seriously ill as your FiL were treated this way. Like so many stories on the website I feel both sad and angry when I read them. The extent of the callous indifference amongst NHS staff is unbelievable. I now explode into a tirade of abuse at anyone who dares to praise the NHS in my hearing or who speaks highly of doctors and nurses. I assume that there must be some good ones, some properly trained ones… but I haven’t come across them. Without family care my father would have died last year and would now be nothing more than one of those sad stories you read in the tabloids about elderly people with dementia found dead in ditches. I have wanted to use the law as so much behaviour seems unlawful but am at a loss to know how or know any lawyers I could trust. Again money is an issue. I do not feel able to spend money on lawyers when we need to make my father’s savings last, not just to provide care for him (I do not believe we will be granted Continuing Healthcare what ever evidence of needs we provide) and for my mother who is also frail with multiple health problems. I feel so resentful when I hear politicians talking about how proud they are of “our NHS” and how it is still free at the point of use on the basis of need, not the ability to pay. What a joke. Here we go again. Today I received notice of the next CHC review of my mum’s needs. One week’s notice. Hardly a sensible decision made by the local Commissioning Support Unit is it. I might have to ask to postpone it at some obvious cost to them. (Some assessors are being offered £300.00 a day). With that in mind….. Just how reliable is their CHC eligibility decision making? Or…… Is this late notification normal and yet another way of piling on the pressure? Hi Chris-G , I had the same problem with my mum. I was given all ! the above rubbish reasons for her not having Continuing Healthcare (CHC). I was told on a Thursday that mum was coming home the next day , !! no assessment, nothing had been organised for her care. 7 weeks in the hospital had rendered a 91 year old, who could walk, shop, communicate quite well, visit friends, into an incontinent woman that had lost the use of her legs. She had constant urine infections, her false teeth were broken the first week she was in there, they never gave her her glasses to wear, she couldn’t use her hands because she fell and damaged her spinal cord, (reason for her being in there). They told her to ring the buzzer if she needed anything, but her hands were useless, so she went thirsty, wet the bed and could not feed herself. When told she would be coming home, i mentioned that she had not been assessed, and that that could not happen till she was ! assessed. The social worker then started to back track and got very uncomfy saying oh yes i will call you about that later. I got a call from a nurse later saying mum’s assessment was for the Friday. The very next ! day. I had no time to gather info or prepare proper notes. I sat up till 2am in the morning trying to build mums case. Luckily i had found Angela’s website, which helped so very much. But then i realised how many lies and fob off’s they had told me, false info, backing each other’s lies up, even signing paperwork on my behalf, incorrectly. They even questioned my parents sanity, over their power of attorney paperwork, done 9 years previous, for me to help them when the time came. I had to mention the Pamela Coughlan case, which they had no knowledge of, mention the National Framework and where the Law stands on certain areas , and they go deaf, blind and vague. They also try to tell you you have the wrong info, ask where you got that info and basically call you a liar !! Thank you for your kind words about the website, Sue. This sounds so typical Sue……. We had an assessment back at the beginning of May. Because of hospital admissions and general decline in health causing greater overall needs, assessor and SS guy agreed within 12 minutes that Continuing Healthcare (CHC) should continue. The Decision Support Tool (DST) was completed with the positive recommendation. Two and half months later an unnamed CCG (allegedly) manager has refused the funding on the most spurious grounds. e.g. No problems eating…. Yet only just back from hospital after aspiration pneumonia. (again since). No problems eating. (Having lost a lot of weight). Currently we are discussing close to end of life care due to inability to eat very much or often. The Social Services assessor was gobsmacked when I told him today that he could appeal the matter himself since I had caused the interagency appeals procedure to be put in place back in mid 2014. Two hours later I was informed that he has appealed it. He agreed that the letter refusing CHC was in fact illegal under administrative law because the CCG decision maker has not signed or identified themselves on the refusal. He was as astounded as us that once again the DST was not sent to either of us, all he got was the same letter we did. He was also very upset when I (gently) told him to go to hell as regards the financial means assessment that he wanted to undertake so that the council could re-charge for the care my mum requires…… Such care that he had already stated was beyond his organisation’s legal remit to provide. He was equally surprised when I told him of the hospital’s discharge documentation that insists my mum should never be sent back to a hospital and that end of life palliative care would be the best course. The hospital, never having mentioned the proposed ‘treatment’ whilst she spent 10 days in the hospital. Once again there was no checklist or fast track implemented by the consultant involved, at the hospital. The GP was required on the discharge documents to produce blood test results within 7 days of discharge to establish if treatment for UTI and Kidney failure and Aspiration infection had been successful……. I contacted the GP today and she had not even read the discharge documentation let alone acted on it after 16 days. The nursing home had the same discharge documentation and they too have failed to act upon the requirements. Today within 15 minutes of speaking to the GP the blood test was done. This is whilst knowing that a dip test of urine last week displayed a possible UTI. And all of this is happening to a patient that is visited every day, barring the odd illness, by my father. Question…… Just how badly treated are the other 49 patients within the nursing home? Question …….. Just how badly served are all geriatric patients within our two hospital catchment areas? I am facing a forth ‘assessment’ in May 2017 for my mother who had a severe stroke in May 2011. She has no speech, and RS paralysis, along with other medical problems. We were granted Continuing Healthcare (CHC) in 2014 after a very helpful lady came to assess her and stated immediately when faced with my mother – “Well it’s obvious isn’t it?”. Very rare I know. We had originally asked for an assessment at the hospital and been told no firmly we would not qualify reasons given were as above; we had means to pay she needed social care etc etc. I am now fearing that they will remove our CHC. After caring for her at home for 5 1/2 years, I became exhausted and made the sad decision to place her in a care home. Cost, over £1000 a week. CHC stated that they would only pay £702 as we had been assessed at band A for nursing despite our previous budget of £56000. We pay the extra as I was unable to face the fight and feared that the whole lot would be taken from us. I am now suffering from severe anxiety and depression and feel unable to cope with the forthcoming assessment. Her stroke was so bad she was not expected to live. She has made no significant recovery and at age 85, I do not expect her to. The system is broken and is a scandal. And we are one of the ‘lucky’ ones. I found this site so helpful and am using it to help me fight again for what is her right, the right for NHS care. I don’t understand how you have topped up NHS care funding. I always understood this to be illegal and unenforceable. In addition: The National Framework does not allow for different bands of Registered nursing care. The Registered Nursing Care is either required or under ‘normal’ and assessed circumstances it is not required unless the person becomes obviously sicker. At which point any of us would be entitled to NHS Registered Nursing Care via our GP or the local hospital. What you have written seems to confirm your comment about the system being broken. I wish you and your mum well. As a P.S to my comments: The great socialist leader of the opposition and his right hand men and women repeatedly link health and social care. (As does the Government front bench). (They all call it health and social care when referring to sickness). This is an obscenity considering their socialist backgrounds and their apparent continued backing of the two separate Acts of Parliament created by their forebears, that are at issue. If they will not conjoin the 1946 and the 1948 acts in fact, then, why try by speech pattern to make it appear that they are already so conjoined? It is not that Social Services have become more medically capable……….. It is that NHS managers seek to spread/hide the true cost of NHS health care within the United Kingdom. I too am endlessly frustrated by the insistence of all politicians from all parties insisting on discussing health and social care. I get even more worried when someone (usually someone trying to sound informed and with a good idea) talks about the need for further integration. Yet more blurring of the distinctions and even more opportunities to re classify illness as social care and to make people pay. The ignorance of MPs is inexcusable. But they currently get away with it because of the lack of responsible journalism. My biggest frustration is the now standard narrative, repeated by reporters as though it were fact, that the crisis in social care is creating a crisis in the NHS! It is presented as a new crisis , due to recent cuts to social care funding, leading elderly people to end up on trolleys making life difficult for doctors in A&E and then (how dare they) blocking beds “needed” for patients far less ill than they are. Why are people like us the only ones who know what is going on. That the story is the complete reverse of what the media is reporting. The NHS is creating the crisis in social care because councils are having to provide the healthcare the NHS is refusing to provide. If the NHS was doing what it should council’s could concentrate on genuine social care and go back to providing Home Helps. Perhaps the media and politicians need to have this message shoved down their throats, especially given the Alzheimer advertising that now claims that dementia is the highest cause of death in the UK….. disease is the highest cause of death but suffers are not sick enough?……. How does that work? Have a look at :- https://www.nice.org.uk/. Look care fully at what it is actually now called. ‘NATIONAL INSTITUTE for HEALTH AND CARE EXCELLENCE.’ If they had renamed it NIHCE it is likely that many more people would have twigged to the very obvious politically motivated linking of Health and so called Social Care. The last part of which still does not have a legal definition. Can anyone explain to me how a NHS sponsored and (originally) NHS specific organisation is now providing enforceable guidance and instruction to social services departments too? I was given the name of a (knowledgeable) Barrister by a local Continuing Healthcare (CHC) specialist solicitor and advised to instruct him directly as I appeared to know more about CHC matters and the side arguments that exist, than the solicitor and his colleagues did. The Barrister refused on the grounds that I would need to make multiple Judicial Review appeals because of the many related questions that I had failed to get answers for from the NHS and the council. He was only prepared to act in the same capacity that I could during NHS CHC appeals and Independent Reviews. He was unsure that I needed his assistance after almost 10 years of dealing with it myself. So…… expertise (especially in related matters of law), seems to be very lacking and this is likely due to the insanity of the Framework and the way that budgets instead of patient care, are maintained by CCG directors via their CSUs. After all…… One does not need to be (in conflict with the framework), directly involved in maintaining or managing a budget……. all one has to accept is the conflicting rules imposed by your management, their desires and your ongoing need to pay the mortgage. By the way, anyone just starting this process, Angela knows of a BBC researcher who is trying to view the process from start to finish, as it were. I have been in contact with them but I have only been able to give some complex background regarding the lies and hazards etc. Jo Taylor at the BBC has been looking for a Continuing Healthcare case to film and follow. (She may have already found one, but it might still be worth contacting her.) You must be: 1) in the Eastern region (Beds, Bucks, Herts, Norfolk, Suffolk, Cambridgeshire, Essex, Northamptonshire); 2) at the start of the Continuing Healthcare assessment process with an assessment coming up; and 3) have a relative needing care who is still at home. It’s important that you fit these criteria – AND that you are happy to be filmed. Please don’t post your personal contact details here – instead, contact Jo Taylor directly. Email: jo.taylor1@bbc.co.uk. Thank you for your timely article. It is truly amazing how the media and so called well informed health care writers on the national news fail to mention Continuing Healthcare funding and assume all care need funding is social care. They have not (or perhaps they have) grasped that many people are being denied health care funding and are being illegally forced to self pay after social means testing. Any ideas how we can change this perception with the national media? Yes, it’s dreadful, Laurence. The tips at the end of the article are a start. I read many intelligent and informed comments on this site from ordinary members of the public simply trying to do their best for a relative. If only those social services and NHS staff whose job it is to be well-informed on matters of public law were equally well-informed. The ignorance demonstrated in my every contact with both nurses, social workers, doctors and consultants is woeful. They, not patients and their families, have to duty to understand and abide by the laws that govern their jobs. With the NHS and social care back in the news because a general election is looming the same appalling ignorance seems rampant amongst MPs, even ministers and shadow ministers, who really ought to be knowledgeable about the government departments they head up ,or aspire to head up, appear to lack even the most basic understanding. The public deserve better from their politicians and the public servants who work in the NHS or LAs. The idea that either politicians or public sector employees are at our service is laughable. I couldn’t agree more with your article Angela. As you rightly say, many professionals do not understand continuing healthcare. A couple of months ago I was asked to advise a solicitor acting as Deputy for an ex solicitor who had a terminal illness. When asked whether the Local Authority would take over her 24 hour care package as her funds were dwindling,(unsurprising as she had two carers 24/7 one of whom was a registered nurse) I found he had never applied for Continuing Healthcare as he thought people with money (which she had originally) weren’t eligible! It’s maddening, Chris, isn’t it? And it’s so damaging when people can’t trust the information they’re being given – and when their assumptions are wrong in the first place! Due to information from Care To Be Different, I was able to obtain full Continuing Healthcare funding for my mother’s care. I simply cannot thank you enough. My mother suffered for dementia Alzheimer type. She became a serious danger to herself and suffered a number of falls and visits to A & E. It reached point where she could no longer go home alone. Even the doctor responsible for her discharge from hospital stated that if my mother had money/assets she would have to pay for her care. At this time I assumed the same because I didn’t know any different. She was discharged to a temporary nursing home until one that was properly equipped to care for her needs was found. I was contacted by social service to arrange an appointment to conduct a means test assessment. Fortunately, by this time I had become aware of your web site and was able to correct the social worker and informed him we will be conducting a Checklist Assessment. He was most put out and attempted to object. 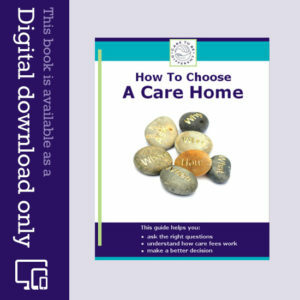 Both the Checklist and Decision Support Tool were difficult, with the ‘professionals’ continually trying to ‘downgrade’ my mother’s condition to social care even though it was obvious she had a primary health need. It was only due to your advice and really getting to grips with the National Framework that won the day. My mother has sadly now died but was in the nursing home for over 3 years. The fees were £1100 per week so you saved her estate over £170K. It’s incredible how much misinformation is still being given to people I know who have relatives who need care. It’s a revelation to them when I tell what the correct procedure is. I will continue to follow your web site and spread the word as much and as often as I can. That’s great news Paul – and thank you so much for your very kind words. Well done for persevering in your mother’s case, and thank you for continuing to spread the word. Another great article. I too was yelling at a recent episode of Moneybox Live, and ended up texting “Is anyone going to mention Continuing Healthcare (CHC)?” About 3 minutes from the end, it was mentioned, and in a context that was either designed to confuse or indicated lack of knowledge by the presenters and studio contributors. Dangerous stuff. Similarly, a friend who works for a services charity told me she now regularly gets requests for Top Ups from families with a relative receiving CHC where the NHS has decided the care home fee is above their “limit”. In my opinion, there is no end to the misunderstanding, misinformation and ingenuity of the NHS in keeping it this way. Thanks Angela for your timely and important article. I thought I was the only person who shouted at the radio. I have listened to so many radio programmes where social care, care fees etc are being reported on or discussed and the misinformation is scary. It is easy to understand why so many people do not question what they are told by nurses and social workers because they already believe themselves that “that’s just how it is” and “elderly people pay for care”. It is however inexcusable that journalists working in the media continue to publish inaccurate stories. As a former newspaper journalist I am appalled at the poor quality of all news reporting in this area. It is even more inexcusable that professionals advertising their expertise (whether solicitors or financial advisors) take peoples money while demonstrating a complete lack of understanding in their so-called area of expertise. Yesterday I phoned several law firms as the stress of the current situation is something I feel I can no longer deal with without support. From staff at some of the largest top 100 law firms to a small local practice no-one I spoke to had a clear grasp of the law and another from whom I requested an information pack sent inaccurate information about DST domains. I gave up. I can see no point in engaging legal help at huge expense from a solicitor who knows less than I do. It’s diabolical, isn’t it? And you’re right, Meggie, that many families and individuals know far more about it than the professionals. There are solicitors and advisers who are specialists, and of course their help can be invaluable, but families really do have to choose very carefully and ask lots of questions at the outset to ascertain how much any adviser really understands. It’s also vital that a professional has experience of the sharp end, i.e. they have actually sat through assessments and can actually argue back with expert knowledge when assessors make mistakes. Part of the trouble is that (having spent almost 10 years on this), a fresh faced Continuing Healthcare (CHC) assessor and social worker often will not accept what you say about their conduct and their misuse of the procedures during assessments or other’s recorded past conduct etc. Or the fact that you have in your hand what an IRP chair wrote about their identical faulty conduct when the last assessor tried the same faulty behaviour. It is unfortunate that as Registered Nurses and University Qualified Social Workers, they consider themselves way above the lay people that they seek to do down during assessments. Then they refuse to accept that they shouldn’t be conducting assessments without the previous Decision Support Tools (DSTs) in evidence. After all….. What have they got to compare current needs against if they have not referred to a list of the past reported needs? (I once had one state that they always reviewed past DSTs after assessments. Of course we were told no at the conclusion….. without anyone comparing identical needs on the previous DSTs). Domain by domain, they try to knock out all so called social care needs without considering their complexity etc. so that only medical needs remain, even in the face of written Independent Review Panel (IRP) reports that concluded the unlawfulness and obvious rule breaking of such behaviour. So, my advice is…….. Look for the rule breaking and positively encourage it whilst challenging it at every turn during assessments and local appeals. Your only recourse is, from the outset, to plan to go to IRP where the Chair will understand any legal argument regarding procedural failures that you make; and hopefully support you with a favourable decision. Thanks for all your invaluable support. It’s not just missunderstandings about money. I work in the NHS as a clinician. I was recently told by a junior doctor that she could not discuss discharge care plans for my father who is undergoing a Continuing Healthcare assessment because it is a legal process! Talk about patient-centred care with relatives and carer’s input. The discussion was not declined because of confidentiality issues as consent to discuss with me had been granted by both mum and dad. It’s ridiculous, isn’t it? I’m glad you were able to have the discussion, Rhian. Like much else within the legal environment within the NHS: ‘Person Centred Approach’ is designed to prevent anyone using any published case similar to theirs as a comparator. Then the Framework is designed similarly to prevent matters in appeal coming to the First Tier Tribunal Service, which is a gateway to the courts; this is the way that a claim for disability sickness or disability benefit can be appealed. Other than maintaining a finite budget set aside for Continuing Healthcare, what is the actual difference in appealing? What if your loved one was being discharged into your care? ……… How could you provide the care endorsed on the discharge care plan, without first agreeing with the hospital that you had the capacity, the accommodation and the willingness to do so? How do you do any of that whilst being excluded on some bogus privacy grounds? When a Community Psychiatric Nurse drew up a care plan following a needs assessment for social care he was aware we were under stress and felt unable to continue providing all the care needed ourselves. He knew my sister had given up her business and I had felt unable to renew my contract and continue working and that we both wanted the chance to re start business/get a job. The answer? Simple really, just write on the care plan set times on set days when instead of us providing care we could buy in services from a private care agency. He even suggested my sister, the main carer, should take a holiday, although of course we knew this was only possible if my dad’s money was used to pay for 24 hour care for the entire time she was away, a cost far greater than any holiday my sister living on benefits could afford. Thank you for this timely article. Perhaps it is high time that Care To Be Different had a conversation with …… health correspondent? or health editor. It is my view that when care funding is discussed in the wider media domain they FAIL to recognise that there is social care AND health care funding and they talk only in the domain of social care FAILING to realise that many patients should be getting health care funding and NOT assessed as social care. It need pointing out to them that the whole system of miss-information and maladministration is designed (deliberate or otherwise) to deprive 1000s of health care funding which as we all know is illegal. Media health experts would do well to spend time with you Angela! We have done several times, Laurence. From time to time on our Facebook page and in our news bulletin we also post details of specific opportunities for families to talk to the press. It’s an uphill battle changing perceptions though. There are two acts of parliament and they were kept separate by the Coughlan case for the most part with the reminder that councils cannot generally provide registered nursing care. As I posted above…… Councils have not become better at providing healthcare. They do not own hospitals, employ doctors or nurses. How then can they have genuine and accountable responsibility for hands on healthcare of sick people that are no longer considered sick by the NHS? As for your comment that patients are assessed for social care…… The process, more and more, seems to have been redesigned to achieve that end to the detriment of the truth. After all if they only seek social care needs, as a way of somehow outweighing the very obvious over all Primary Health Need, then it is those that they will most likely discover. And I wouldn’t be at all surprised to discover such logic is printed in local procedural manuals for the assessors to learn from. Chris, you seem very knowledgeable and I have read your comments with interest. We are still waiting for a Multidisciplinary Team/Decision Support Tool and decision re Continuing Healthcare. I am pessimistic and believe whatever evidence is presented the CCG will say no. In addition to local dispute resolution, NHS England and then the ombudsman how can unlawful behaviour by the CCG be brought before the courts. Even if years from now the ombudsman were to find in our favour and say the CCG, local resolution and NHS were wrong how can anyone seek compensation? Both I and my sister have had to give up work, pension contributions etc and have had our family lives and own health damaged by the necessity of providing care that no one else seems able to (we cannot abandon Dad to a care home as it would kill him and we would literally die of misery believing himself to be unloved.). How can the ombudsman ever put a value on what we have been forced to give up, financially and personally. It will nor for us simply asking for a refund of care homes. Where is justice? Meggie, at the moment it is as the man said…… ‘ There is no justice……. there’s just us.’ Glib I know but when enough of us challenge these vicious people something has to happen. However, the future situation for our healthcare system is potentially very very bleak indeed. If you drill down into the legisation that has been passed by Her Majesty’s Parliament since 2012, there is nothing to prevent medical services in England becoming chargeable in future. All of the political parties have spoken about “integrating” health and social care. If that “integration isn’t carried out in such a manner that healthcare remains free at the point of use, the health and social care legisation that has been passed since 2012 opens the door in future for medical services to be charged for (or means tested) in exactly the same way that local authorities means test at present for the services that they provide. Much of this legislation has not had the benefit of proper legislative scrutiny, debate nor opposition. On 4 July 1948 if a husband and wife with 2 children were sick they wouldn’t receive healthcare unless they had the means to pay. Many parents would only have the financial means to pay a doctor to treat their children. The parents would remain sick and hope that they got better. If an epidemic (such as flu) broke out, many people would perish because healthcare before 5 July 1948 was not coordinated in any planned and coherent way. On 5 July 1948 Aneurin Bevan changed that. Why are we allowing our elected representatives and unelected managers of quangos to turn the clock back behind closed doors without our consent? ‘There are a lot of services offered in hospitals that would be better provided in the community’. Of course, they failed to qualify that such services would by the very nature of and the laws relating to the council providers, be chargeable even if such services were eventually provided by private health companies on behalf of the councils…….. most of whom do not even have ‘in house’ legal and accounting departments anymore, let alone their own hospitals, Care Homes and clinics. So yes, the NHS Continuing Healthcare process has become what I warned it would be back in 2008……. It is the template for charging the cost of health care to all. First they did it to the old and poorly defended and few complained…….. Then they refined the process over the intervening period. I wrote at that time….. ‘Next this will happen to your kids, you will have to pay for their healthcare in exactly the same manner”. I am digging one of those survivalist cellars and stocking it with lots of tinned peaches because I reckon we have about five years until the revolution. I get frightened and angry every time anyone talks about integration, sustainability and how services would be better provided outside hospitals in the community. Language can be used to achieve a great deal and care in the community, integration and sustainablility sound so sensible. They are merely words used to hide the true purpose of changes to how the NHS works and these are not changes for the better. I agree with you Chris that the way the elderly currently have to prove eligibility before receiving free healthcare is a process that could be applied to other groups in future. It seems shocking to me that currently having to prove you are eligible before you can get free NHS care only applies to very sick elderly people, sick and disabled children and some sick and disabled adults. Surely these three groups, more than any other, are clearly entitled to NHS care? Maggie, 300 people a week are currently going to the first tier tribunal service (courts) and something like 70% are successful. It is unfortunate that we cannot get past an independent tribunal that has no legal teeth and straight into the courts system in the same way…… I am certain that many more than 70% would have their cases supported and Continuing Healthcare awarded. This will not happen because the tribunal service is part of the courts and as such any case presented if made public, can be used as a precedent by other with similar needs for PIP etc. I was discussing this with a journalist today. I was able to boil it down to this. The entire National Framework seeks by unlawful means, to bypass the Coughlan and some other later court judgements. I think one was ended in the House of Lords. And we know what ministers within the commons think about Lords making law……. Yes they hate it. The Primary Health Need is not defined in law. The Social Care Need is not defined in law. Nursing Care is not even defined in law. 1. The NHS is responsible for specified types of healthcare, free at the point of need. 2. The Social Services cannot provide or charge for accommodation in which to receive nursing care over that is and above Coughlan’s needs. 3. The Social Services cannot provide or charge for accommodation in which to receive nursing care if a person already has accommodation. If a hospital failed to discharge a patient correctly, (nothing to do with the council), with checklists and follow up Continuing Healthcare (CHC) assessments and the patient instead, simply paid for a nursing home place in the face of that failure then the hospital would appear to be at fault and liable to be sued for the loss and damages if appropriate. This is my addled opinion for what it is worth; that is why I suggested having a chat maybe with more than one solicitor about the financial loss in the face of the discharge errors. After all if you can show that needs from discharge up until funding was awarded, remained very similar then funding occurred too late and the patient has clearly paid for care that was already the responsibility of the NHS.